The Portuguese Pointer was developed in Royal Kennels Portugal. This breed of dog is rare these days. They are considered as the descended from dogs used by falconers in 5th century. This breed of dogs is very good for hunting purposes and used as a hunting dog for many decades. 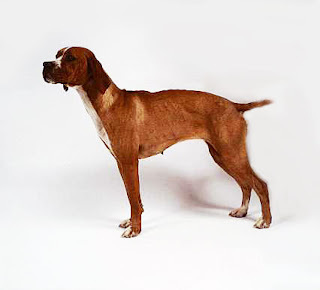 Portuguese Pointer breed of dogs is valued as a breed with strong hunting and pointing instincts. They are very devoted and intelligent, they are used for hunting games and gain popularity in hunting game. This breed is also used as a family breed, they are an excellent family breed, they are very loyal to their family and quite alert, they can be used as a a watch dog. The Portuguese Pointer breed's coat is coarse, dense, and short. The fur on the face and ears is slightly longer and has a velvet texture. This breed of dogs requires early socialization and obedience training. The training should be given with fairness and patience they will not respond to any hard and harsh methods of training. This breed of dogs does not do well in apartments because of their hunting instincts and an active nature. They are best with rural setting and do well when they have a job to do. The Portuguese Pointer requires regular brushing and bathing should be done when it is needed. The Portuguese Pointer is relatively healthy due to its rarity and limited human intervention.